While relatively easy, this journey features some long travel days, overnight ferry rides and a number of walks over uneven ground (often including steps). As with a journey of this type, members should be physically active to fully enjoy this tour. Hotels are comfortable, roads are good and the food is excellent throughout the region. Join us during the endless days of the Scandinavian summer as we discover the spectacular beauty of the Nordic lands: lively capitals, picturesque towns, beautiful countryside and the majestic sights of some of the world’s most awesome fjords await. Marvel at the simple charms of Helsinki; revel in the architecture of Stockholm and its magnificent City Hall; admire the relics of Norway’s great seafaring past in Oslo, and discover the Renaissance Castle of Frederiksborg in Copenhagen. Enjoy the beauty of Norway’s fjords as we cruise Sognefjord plus the rocky cliffs and waterfalls as we ride the famous Flam Railway. Previous departures have sold out. We urge you to enroll as early as possible to ensure there is space. Group members gather in Toronto for the flights to Norway’s west coast. 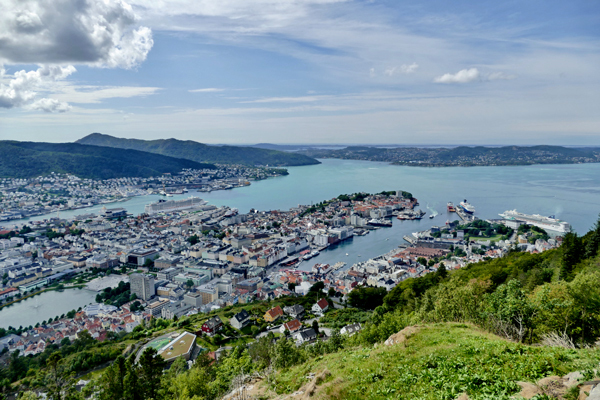 Our exploration of Bergen will take us to the famous open air fish market and through Bryggen where the traditional wooden medieval buildings still remain as they did during the time of the Hanseatic league. After we will take the funicular to the top of Mount Fløyen for a stunning view of Bergen. After our lunch overlooking the city we shall visit the Fantoft Stave Church. Made without nails Norway’s Stave Church are iconic cultural sites. The remainder of the afternoon and evening are at leisure to explore the streets and try one of the excellent local restaurants. Early this morning we board our fast ferry service from Bergen through Sognefjord to the small town of Flam. After a break for lunch we take the world famous Flamsbana, the most beautiful train journey in the world, with breathtaking views at every curve. At Myrdal we change trains before continuing our rail journey to Vossevangen and then small resort town of Geilo for a quick overnight stay. Our day in Oslo will be dedicated to discovering its many charms including some of its many museums. 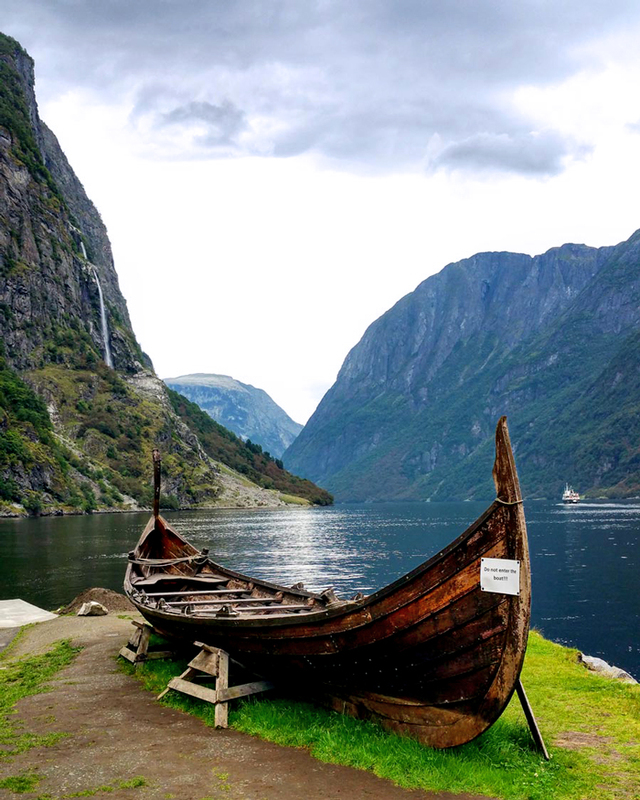 Discover Norway’s maritime history at the Viking Ship Museum exhibiting the world’s best preserved Viking Ship, the Fram Museum covering the Norwegian polar explorations, and the Kon-Tiki Museum which is home to Thor Heyerdahl’s balsawood raft used to sail across the Pacific. This evening we board our overnight ferry to Copenhagen. Be sure to be on deck as we sail through Oslo fjord. Group members will need to pack a small overnight bag for the ferry crossing. Larger bags will be stored overnight. Enjoy a buffet breakfast as we sail into Copenhagen. Upon arrival in the Danish capital we head off to experience many of the city’s highlights: the Little Mermaid, the Gefion Fountain, the Royal Residence Amalienborg Palace, and Nyhavn where we will have lunch by the canal. A highlight of the day will be a canal cruise through and around the city's bustling harbour. Balance of the day is at leisure. 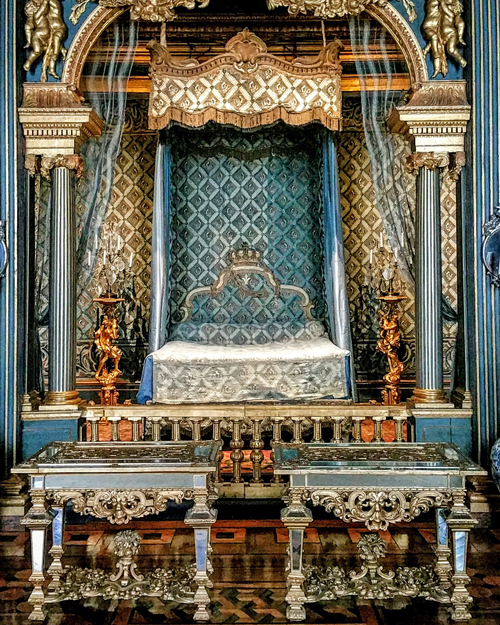 Today we will drive through the Danish countryside en route to Hillerod, where we visit the Frederiksborg Castle, built by Christian IV in the 17th century. It is now home to the National History Museum featuring many treasures such as paintings, tapestries and porcelain. We then continue to the coast to take in the sights of the magnificent Kronborg Castle in Elsinore, famously known as the castle of Shakespeare’s Hamlet. This morning we depart Denmark for Sweden travelling via the impressive Oresund bridge. 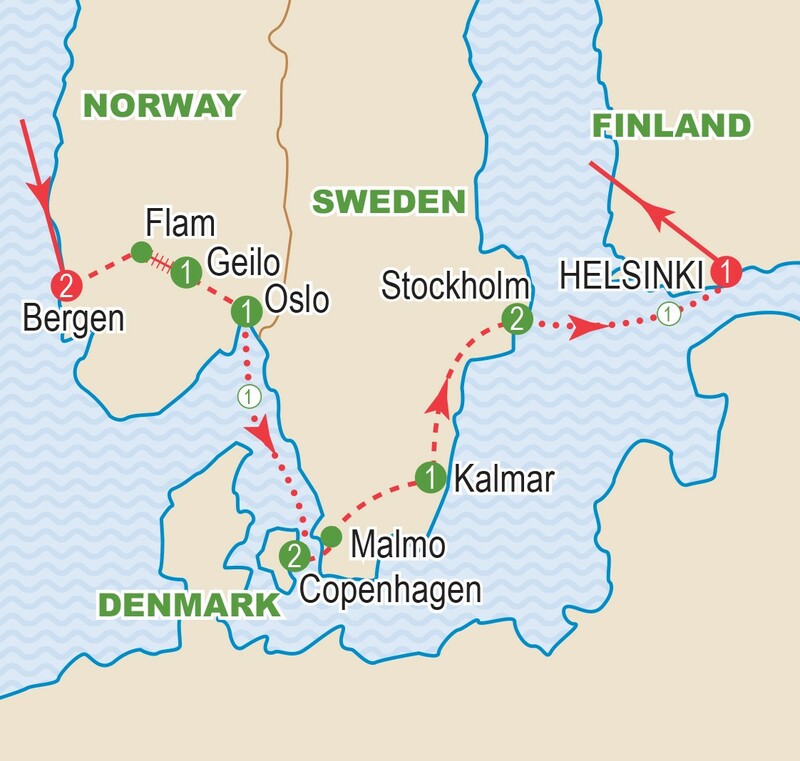 As we enter Sweden we stop for a walking tour of Malmo, the nation’s third largest city. Continue on through the fertile farm lands and small towns that dot Sweden’s southern region as we make our way to the coastal town of Kalmar. Here we shall tour its castle before checking into our hotel a short distance away. 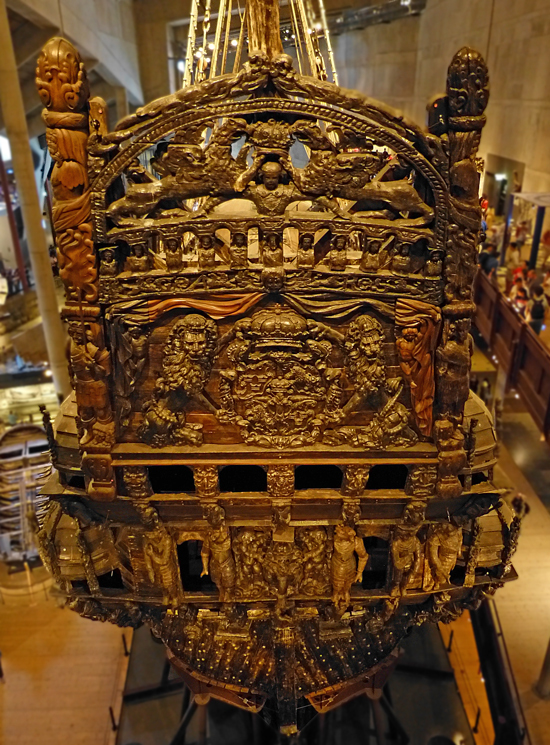 This morning we continue our tour of Stockholm with a visit to the newest and most popular attraction, the Vasa Museum. Inside, discover the reconstructed remains of the nation’s largest war ship. 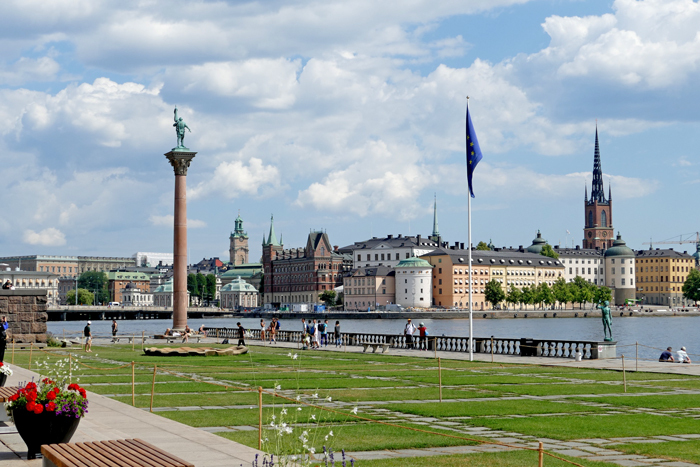 At the City Hall we shall see its incredible golden hall covered in mosaics depicting Swedish legends. Balance of the day is at leisure. 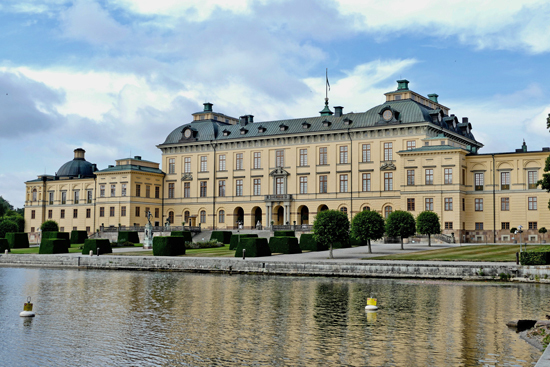 We shall experience a true highlight with a tour of Drottningholm Palace. This UNESCO World Heritage Site is a very well preserved example of European Baroque architecture from the 1600’s. After the tour we board a short cruise taking us back to the city centre, where we enjoy lunch. Tonight is a scenic cruise through the Stockholm archipelago, with well over 1,000 islands, as our overnight ferry to Helsinki departs. Our day will be spent exploring the capital’s landmarks such as its colourful market, Senate Square, the Cathedral, the Sibelius Monument and the famous Rock Church. In the afternoon we visit the medieval city of Porvoo which features historic buildings, gracious parklands, and a beautiful waterfront. Highlights of our discovery include the Cathedral and the Old Town with its lovely buildings. Tonight is our farewell dinner at a local restaurant. After a morning at leisure we gather for our transfer to the airport and our flights home. food is excellent throughout the region. Tour price is based on sharing a twin-bedded room. Prices are based on a minimum 20 tarvellers and on rates, taxes and fees effective August 2018 and are subject to change due to factors beyond our control. Airfares from other gateways are available on request. Airfares and air carriers are subject to change. Prices DO NOT INCLUDE the cost of insurance which is available and is highly recommended. Premiums vary with the cost, length of the trip, and the traveller’s age. For passengers up to and including 74 years on departure date, premiums will range from $280 to $417 pp plus applicable taxes. Cost supplements for travellers aged 75-85 will range from $186 to $385pp plus applicable taxes. This insurance is effective from the date of purchase and carries limitations on pre-existing medical conditions. Clients 86 years and older and/or clients residing outside Ontario - please contact our staff for procedures. Please discuss your insurance coverage prior to booking. Refer to our Terms and Conditions for more details.